Local gaming operators in Cyrpus are currently prohibited from offering real money online and mobile casino games, but offshore gaming companies can offer their gambling services to Cyprus residents without any repercussions. Blackjack players from Cyprus, then, can enjoy an array of online 21 experiences for real money or fun at the following sites we list. Previously having been unregulated, the Cyprus government passed new gambling legislation that banned online casino and online poker betting in 2012, significantly altering the Internet gaming landscape. The 2012 Betting Act regulations would also regulate traditional and fixed sports betting and lotteries. Strong speculation also exists that the government is looking to regulate local Internet casino companies better to bolster its economy. More recently, amendments have been made to the Betting Act that now allow more local gaming companies to apply for approved licences in order to offer online sports and lottery betting to the Cyprus people. These new amendments to open up the local online gambling market are aimed at increasing tax and public revenue, creating more jobs, and to combat tax evasion from offshore betting companies. The fresh strategy is also aimed at awarding brand new brick and mortar casino licenses as well as awarding licenses to approved gaming venues to offer video pokies and video lottery machines. Disappointingly, the move that has opened up the local online gaming industry was not inclusive of allowing local online casino and blackjack gaming operators to market their services and products to the local community. Sign up with any of the endorsed casino blackjack sites using the links provided, from any compatible gaming platforms, such as your laptop, desktop, mobile phone or tablet device. All sites have been optimised for smartphone and tablet gameplay, with the gaming graphics, the animated and live visuals and the audio of the highest of quality. 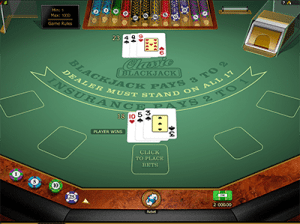 Browse through the assortment of immersive blackjack titles at each of the recommended websites, including a host of random number generated (RNG) variations that you would not find at land based casino venues, each with superior odds and lower house edges than brick and mortar casino counterparts. All RNG blackjack and other titles have been tested and approved by independent gaming watchdogs such as eCOGRA that are focused on player protection, fair gaming and responsible operator conduct. Make sure to also check out the live dealer blackjack gaming lobby, where a host of professionally trained croupiers are employed to deal at several authentic blackjack casino tables, with the games streamed in high definition and fed in real time directly to your gaming screens, allowing you to interactively partake in the action and place flexible bets each and every hand. Opt to play via the instant Web browser play format (games powered by state of the art browser based technology) or install the official casino client (available only at some websites) onto your computer (we recommend instant play browser gaming, so you can play anywhere and at any time). You can choose to remove personal information from the casino operator’s database at any time you wish. These blackjack gaming sites all accept the Euro (EUR), so Cypriots can use their local currency to enjoy real cash casino titles. You can also play games in practice cash mode to get a feel for how the titles operate. All financial transactions are protected with secure socket layer (SSL) digital encryption technology to ensure personal information is safe from fraudulent behaviour. With the move to regulate the local online gambling industry within Cypriot borders, it is speculated that there will be a further push from companies in cooperation with the government, to regulate local online casino operators too, for the same financial reasons as mentioned above (tax and public revenue, jobs, combat tax evasion). In the meantime, Cyprus blackjack enthusiasts can enjoy real EUR money online gameplay at any of the above listed casino platforms, such as www.Guts.com.